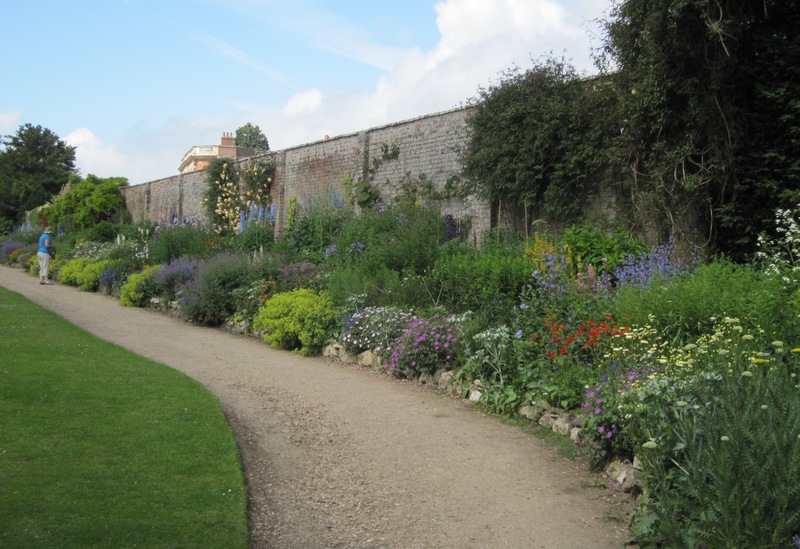 This entry was posted in Gardening, lifestyle, words and tagged editing, free time, journal, sadness, Waterperry Gardens. Bookmark the permalink. You can heal yourself and writing, talking to yourself, is good. As my mother used to say, ‘You need time to get yourself towards yourself’. Candy, your mother was quite right, there simply isn’t a quick fix for everything and in the rather frenetic 21st Century it is easy to overlook the healing power of some quiet time for reflection, time to get your head straight my mother would have called it. Nice blogging friends help too! Perhaps it’s easier to concentrate on the bigger picture when there is no distraction from the pile of ironing or the weeds in the flowerbeds and nobody is asking when lunch will be ready. My picture does not do justice to that Wisteria, it was a perfect setting to gather my thoughts. I always appreciate the support of your comments. I’m sorry you were hurt and I hope your heart is healing. What a lovely place to write and reflect. Thanks for sharing the beautiful pictures…so peaceful. Thank you Jill, your good wishes certainly help the healing process. 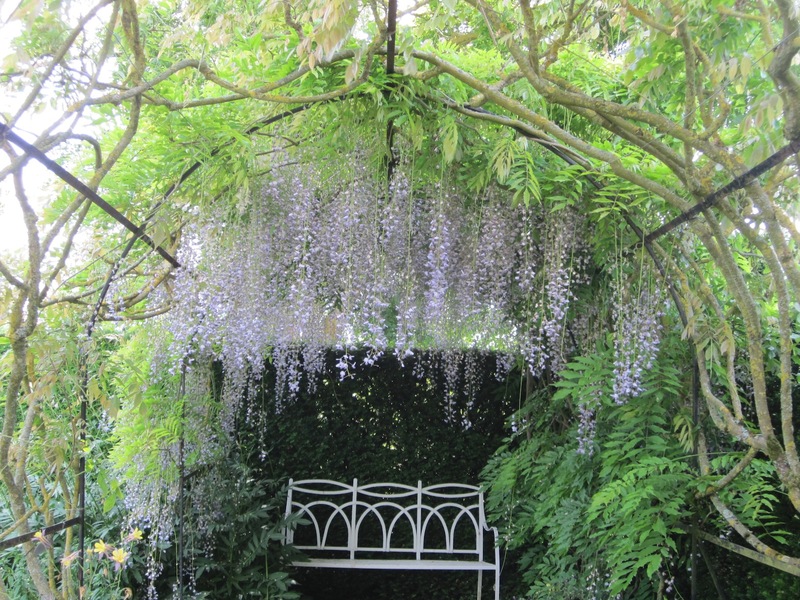 There are several well-placed benches in the gardens at Waterperry giving the opportunity for solitude or conversation depending on your mood but when the Wisteria is flowering that is definitely my favourite seat. Thank you for visiting my blog and leaving such pleasant comments. 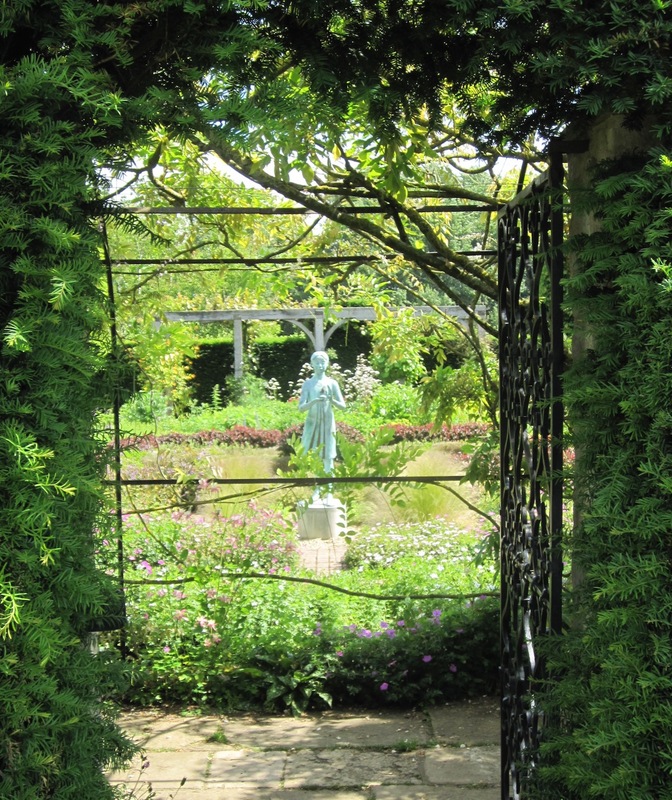 Waterperry is an inspirational place on many levels and I am delighted that you have saved the photo; please let me know if you find time to do a painting based on it. I enjoyed my visit to your blog too!